There’s lot’s of fish around throughout the river so it’s looking like we’re gonna have a great weekend! Above the confluence of the Cle Elum has mostly been a nymphing game, but there have been a few reports of people getting them on PMD dries. For nymphs, stonefly nymphs from size 12-6 with a beadhead dropper anywhere from sizes 18-14. Pheasant tails, hare’s ears, lightning bugs, copper johns, and PMD nymphs will all be effective. Below where the Cle Elum meets the Yakima has been mostly dry flies. Chubby Chernobyls and Gypsy Kings have been the most consistent with a pmd emerger as a dropper. 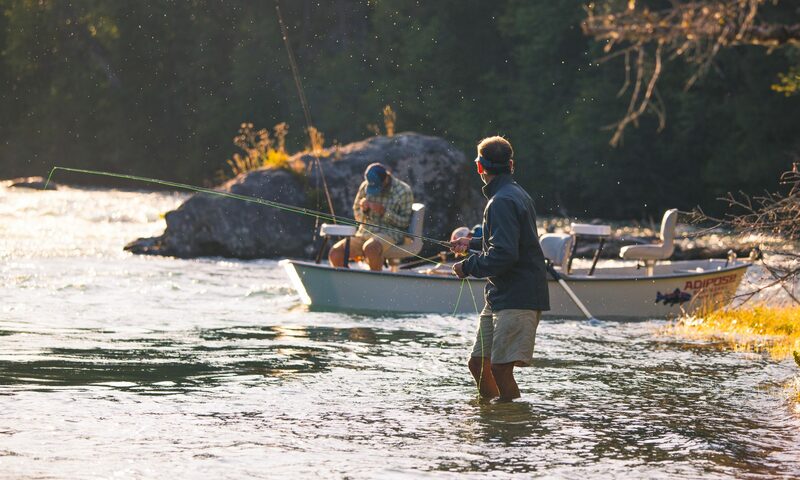 Avoid fishing the slower deep water unless you’re fishing a drop-off, try and stick to the 2-4 foot riffley water. There have also been some good reports from Cooper Lake lately. It’s best fished with a boat (no motors allowed) and you can cover water with woolly buggers and a sinking line. There really isn’t any good access to bank fish it. You could also check out the upper Cle Elum or the upper Teanaway Rivers. It’s mostly all small cutthroat around 6 inches, but with a 2 or 3 wt rod it can be a lot of fun. They’ll be eating any sort of dry fly you throw at em such as Royal Wulffs, Elk Hair Caddis, Ants, and beetles, all below a size 10 so that they can fit the fly in their mouth. If you have any other questions feel free to call the shop!